A Living Will, also known as an “Advance Directive”, allows a person to state their end-of-life medical treatment and care. This document does not hold any bearings after death, it solely directs physicians to care for a person based on what is stated in their Living Will, especially with issues such as DNR (do not resuscitate). 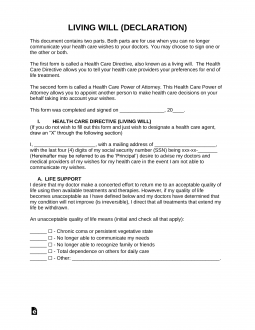 Without this document, it’s difficult to judge an ill or incapacitated person’s end-of-life wishes. Medical Power of Attorney – Allows a person to select an “Agent” to make health care decisions when the patient cannot speak for themselves (due to surgery, incapacitation, or incompetence). Do I Need a Medical Power of Attorney? A Living Will is a document used to describe how medical decisions should be made when certain health-related issues arise, especially when a person is dealing with a life-threatening condition. For example, should a person remain on life support if they have fallen into an irreversible vegetative state? That question can easily be answered by having a Living Will, as it will clearly state whether or not that person wishes to resume on life support in that situation. Although most commonly related to the elderly, anyone over the age of 18 should have a Living Will, as unfortunate occurrences can happen to anybody. When a person falls seriously ill without a Living Will, painful arguments can arise amongst family and loved ones when deciding on an outcome. A living will can be created by an individual within one (1) day. It does not need to be made with an attorney or filed with a government office. All that is required is for the Principal (the patient) to enter their end-of-life treatment options and have the living will signed in the presence of a notary public and/or witnesses (depending on State Laws). Depending on your individual preference would you like to have the medical staff to do everything possible to keep your alive? Or, would you rather die peacefully if you cannot breathe or eat on your own? These are questions that should be discussed between you and your family so that in the unfortunate event this should happen you and your family will be ready. After careful discussion, the final decisions you make should be reflected in the document. If there are any other decisions besides medical care that you would like such as a priest or religious person saying your last rights or specific funeral plans you would like to make it is best to have written to be carried out by your family. Most living wills have the option of adding a health care agent to carry out the patient’s intended wishes. This is helpful in the event that there is a gray area where maybe the agent selected feels there is a good chance for survival and will opt against a decision made in the living will. Otherwise, the Principal can choose to neglect this portion of the document and have doctors and medical staff specifically adhere to what is written in the living will. An agent is someone who carries out the wishes stated in your Living Will or Power of Attorney. A good candidate for an agent could be a family member or a close friend. A daughter or son, for example, would be a good choice, as they are expected to outlive your life. An agent cannot be your physician or anyone that directly administers health care to you. As your agent, this person must follow the instructions set out in your document and can also make judgment decisions when uncertain situations arise. After completion of your Living Will, copies should be delivered to your agent, physician, and anyone directly involved with your estate plan. 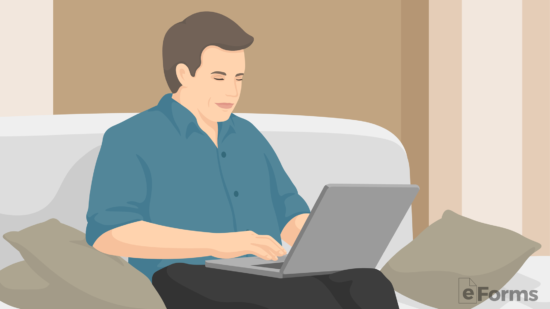 Make sure to update your Living Will if your agent changes or becomes unavailable to serve. Both a Medical Power of Attorney and a Living Will act in the same way in that both cater towards a person’s medical wishes. A Living Will specifically handles end-of-life health care situations whereas a medical power of attorney covers a broad range of healthcare decisions and only goes into effect when a person becomes incapacitated (unable to think for themselves). If you desire to have more control over your medical treatment in the event you are unable to make them for yourself, you will need to create a medical power of attorney. 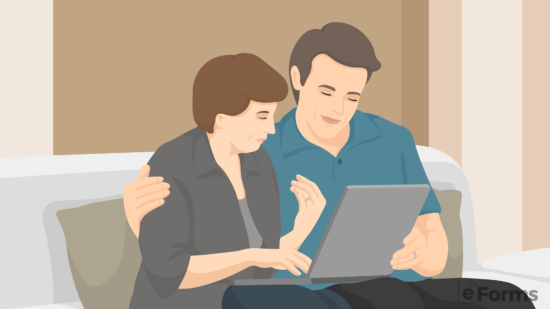 Just like a Living Will, you will need to select an agent who will behold your medical wishes and makes certain that those wishes are carried out successfully. Completing both a living will and a medical power of attorney form are recommended. This document combines a Health Care Directive, which is your Living Will, along with a Medical Power of Attorney to appoint an agent. If you wish to only use the Medical Power of Attorney, strike an X through this section. In our example, we are using the Living Will as seen below. People often have a Living Will just to clarify their preferences when it comes to life support options. Life support is needed when you become dependent in order to survive. You can opt to have your life support withdrawn if your condition worsens to a point that is not satisfactory with your living standards. In our example, Greg Smith wishes to withdraw from life support if he falls into a chronic coma or vegetative state. Typically while on life support, you need extra measures to keep you alive. If there are certain life-sustaining treatments you prefer not to undergo, initial and check accordingly. In our example, Greg Smith does not wish to have ventilation treatment while on life support. Warning: Selecting to withdraw from life-sustaining treatment can lead to death, choose carefully. The last step to completing your living will is to clarify your end of life wishes. This could include preferences with regard to your final living arrangements and even post-death preferences such as your funeral. In our example, Greg Smith wishes to spend his last days at home and prefers to be cremated after the funeral has taken place. Using a medical power of attorney to accompany your Living Will is highly recommended. It allows you to appoint an agent to make health care related decisions on your behalf when you become incapacitated or unable to communicate your health care wishes. In our example, the Principal named Greg Smith appointed his good friend George Leary to be his health care agent. Continue on to complete your agent’s information by inputting his/her home address and telephone number. It’s a good idea to appoint a successor agent in the event your primary agent is unable to serve. Just as you did for your primary agent, enter the home address and telephone number for your successor agent. In order for your Living Will to be valid, it must be signed by two people who are non-related to you by blood, marriage or adoption while being over the age of 18. Additionally, the witnesses of your choice must not be your agent nor beneficiaries of your Will or estate. A Notary is an official public officer that can legally attest a signature to a document giving it the utmost authenticity. By having a signature from a notary, your Living Will will not be questioned in the event there is conflict. In most states, a signature from a notary public is required in order for your Living Will to be valid. It is not difficult nor expensive to obtain a signature from a notary public, as most banks will do it for free. Be sure to have signatures from all parties including yourself before bringing it to a notary public.